When Professor Shane Denson invited me to create a video about Frankenstein on television, my first reaction was, “what is there to say about Frankenstein on television?” Unlike most classic horror stories and monsters, there is no iconic version of the Frankenstein story for television, and most examples that spring to mind are more cartoony references or parodies, rather than actual retellings. But perhaps we might learn or discover something by embracing the patchwork impulse of the Frankenstein story itself, exploring what could be assembled through the combination of decades of televised monsters. I could have approached this assemblage with the intent of creating a collage that expresses an underlying argument or perspective on these decades of representations. But instead I opted to embrace the logic of deformation, seeking to break cultural objects and reassemble them without an explicit goal or design in mind. Deformative criticism, as innovated by Jerome McGann and Lisa Samuels (and expanded by Mark Sample and, for videographic purposes, Kevin L. Ferguson), strives to make discoveries through arbitrary choices rather than intentional design. It is an experimental approach typical of the tinkerer in a laboratory, not the grand plan of a mad scientist boldly aiming to create new life. 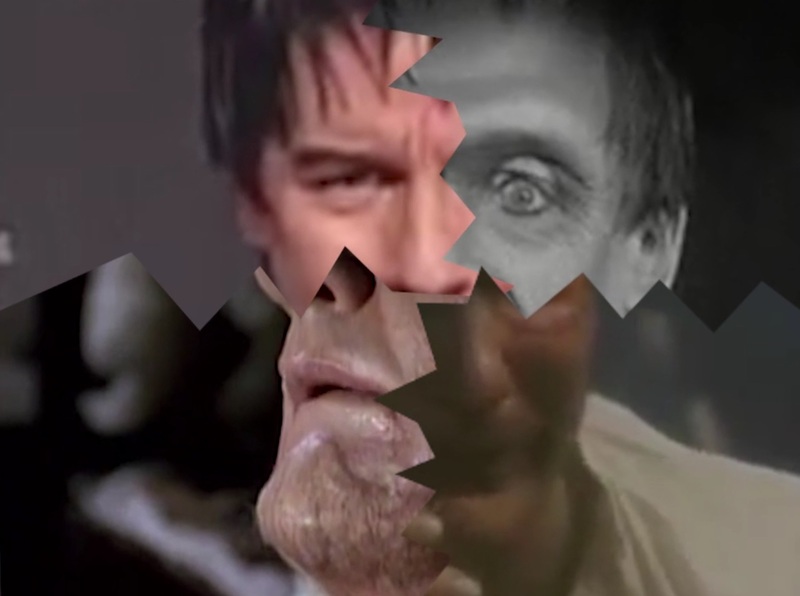 Thus, this video emerges out of the dual impulses of collecting spare parts, culled from online video and commercial releases of every televised Frankenstein that I could find, and reassembling them via a deformative collage following some strict parameters. All clips run at 20% speed, and I drew upon three iconic images of the monster: his face, his awakening on the lab table, and his walk. The music also references the source, as Edgar Winter Group’s instrumental “Frankenstein” was so named because it was an assembled patchwork of riffs; this performance was performed on live television in 1973. This process of deformative creation has taught me something about the particular televised incarnations of this canonical tale, and how the medium frames the monster; whether the resulting collage reveals those (or other) insights is left to the viewer to explore. Ferguson, Kevin L. “The Slices of Cinema: Digital Surrealism as Research Strategy.” The Arclight Guidebook to Media History and the Digital Humanities. Eds. Charles R. Acland and Eric Hoyt. Falmer: REFRAME Books, 2016. 270-299. McGann, Jerome, and Lisa Samuels. “Deformance and Interpretation.” New Literary History 30.1 (1999): 25-56. Mittell, Jason. “Videographic Criticism as a Digital Humanities Method.” Debates in Digital Humanities 2019. Eds. Matthew Gold and Lauren Klein. Minneapolis: University of Minnesota Press, 2019. Sample, Mark. “Notes towards a Deformed Humanities.” @samplereality. May 2, 2012. https://www.samplereality.com/2012/05/02/notes-towards-a-deformed-humanities/. Jason Mittell is Professor of Film & Media Culture and American Studies, and founder of the Digital Liberal Arts Initiative at Middlebury College. His books include Complex Television: The Poetics of Contemporary Television Storytelling (NYU Press, 2015), The Videographic Essay: Criticism in Sound and Image (with Christian Keathley; caboose books, 2016), and How to Watch Television (co-edited with Ethan Thompson; NYU Press, 2013). He is co-founder and project manager for [in]Transition: Journal of Videographic Film & Moving Image Studies, co-director of the NEH-supported workshop series Scholarship in Sound & Image, and producer of video essays about Adaptation., The Wire, and Breaking Bad.